Laney is using Smore newsletters to spread the word online. 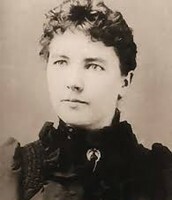 Who is Laura Ingalls Wilder? I will tell you who she is. 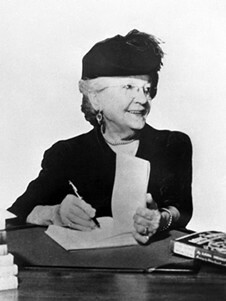 Laura was born on February 7th, 1867. Laura’s hometown is Mansfield, Missouri. Laura had three sisters. Their names are Mary, who was the oldest, Carrie was the little sister, and Grace is the baby sister of the family. Mary and Laura were only one year a part. Her mom’s name was Carolina and her dad's name was Charles. Laura’s best subjects were reading and writing. In 1876 Laura and her family started a farm, but a couple weeks later their crops died because of grasshoppers. The Grasshoppers ate all their crops. The only thing they could eat was the food in their house. There was not that much to eat unfortunately. In the same year Mary became very ill when she was 14 years old. Because of the illness Mary became blind. It was a sad year for the Ingalls family. When Laura was 15 she wanted to help her sister Mary at blind school. But Laura had to be a teacher before. So they would know how to work with students. So laura became a teacher at a small school. But she never got to be a teacher for the blind. On every Friday a guy named Almonzo Wilder would take Laura to go see her parents because the school was far away. In 1885 Almazo married Laura when she was 18 and when Almazo was 28. In 1886 Laura had a baby girl named Rose. In 1889 Laura had a baby boy. But soon died after There were both very sad. In 1901 Laura’s sister named grace got married to a guy named Nate Dow. In 1902 Laura’s dad became very ill because of the sickness Laura’s dad died. 10 years later Laura’s sister Carrie got married David Swansea. February 10th 1957 age 93 Laura died of old age. But people still remember how she is connected to Missouri. 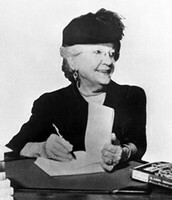 She is connected to Missouri because she wrote her books in Missouri and she lived in Missouri. 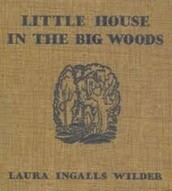 Laura is known for writing the little house books. Laura wrote the Little House Books to tell her life on the frontier. Laura books told people how it was like on the frontier. Laura published her first book when she was 65 years old. Laura wrote 9 books in her writing career. Laura got awards for her little house books and became famous for that reason. These are books are called Little House in the Big Woods, Little House on the Prairie, Farmer Boy, On the Banks of Plum Creek, By the Shores of Silver Lake, The Long Winter, Little Town on the Prairie, These Happy Golden Years, and The First Four Years. Laura has many traits about herself and her are some traits. Laura is a leader because she followed her dreams of being a teacher and an author. Also by helping her father on the farm and being a role model for her younger sisters. She was also caring because she helped Mary when she was blind and when her dad ill in the hospital when she went to go see him before he died. Laura is also brave because she traveled along the prairie and also when she was ill when she was a baby. 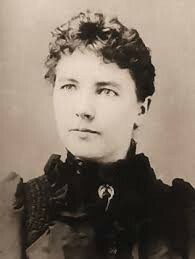 In conclusion, Laura Ingalls Wilder is very special to our country and let's not forget that.